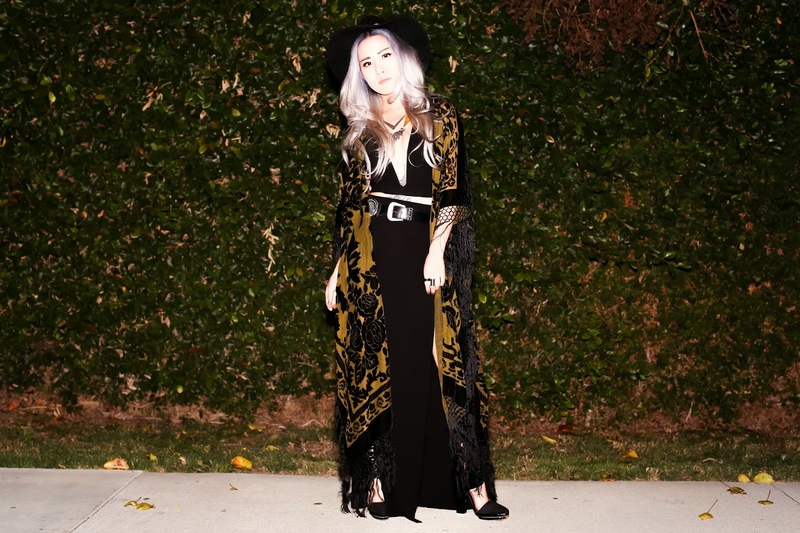 Saltwater Gypsy kimono (c/o). Nasty Gal top. 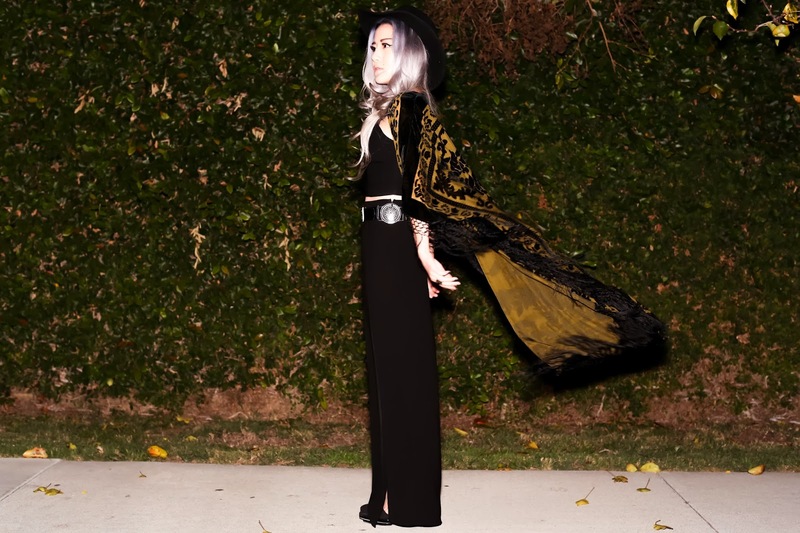 Gypsy Warrior skirt (c/o). Forever 21 hat. Love + Leather necklace (c/o). Vintage belt. Jeffrey Campbell shoes via Luna Boutique (c/o). I didn't start playing with bohemian styles until this year, and I never realized how fun they were! 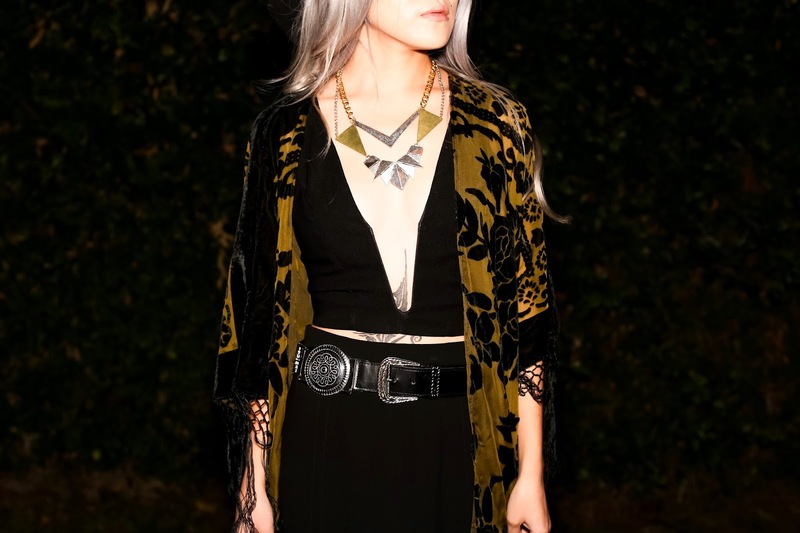 Boho fashion is so flowy, easygoing, and earthy. This outfit goes with that vibe: total hippie-next-door. 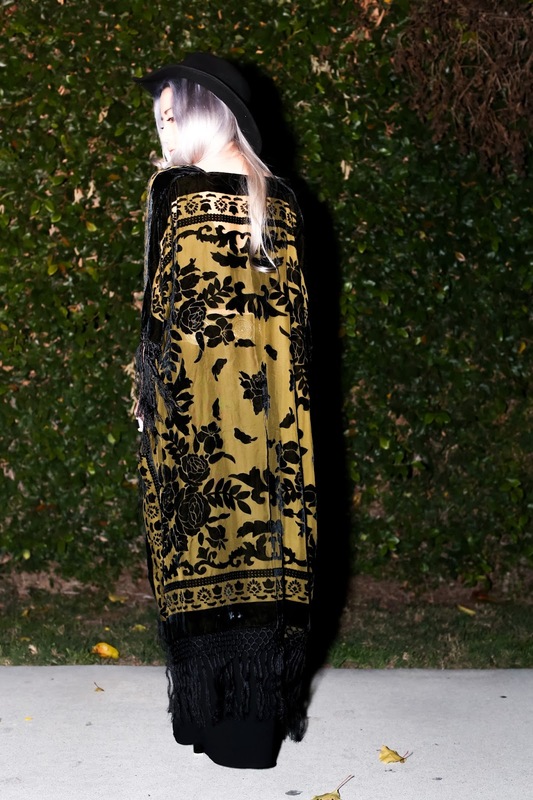 I'm living for this kimono, it has velvet floral brocade burnout and silk fringe--absolutely magnificent. Of course, I couldn't stray too far away from my typical style, so I finished this look off with my latest and greatest addition to my Jeffrey Campbell shoe collection. It went surprisingly well. I love the pictures! They are so cool! Woh woh woh woh woh... this is one of my favorite looks from you, I would steal this outfit.